Like the name states, the application of this pencil is supposed to be easy-peasy and goof proof. It may be a little confusing the first time you apply it if you are used to the regular, pointy pencil tip, but once you get the hang of it it really is far simpler and faster to use. The fatter side of pencil shape is perfect for filling in the wider areas of your eyebrows quickly whilst the pointed part of it great at working around the arch and the thinner side of your brows. The shape makes it flexible enough to fill in patchy areas easily by simply gliding the pencil over the brows. Nice! When you're done with that part, the spoolie brushes through the hairs well to disperse the product evenly throughout to create a more natural finish. The brush is also handy if you slightly over apply as it will work it through to tone the intensity down a notch. Even brow beginners should be able to get the hang of this pencil without too much trouble. So far so good. Once on, it doesn't budge or smudge easily which is fab. Nobody wants smudgy eyebrows. Even on hot days I've had no issues, so you can feel content if you are looking to avoid smudge. The colour payoff is pretty great. It's not too overpowering, so there isn't a sudden, thick, bold line going onto your face, but it is enough to get the job done with the minimum amount of strokes. If you go over your brows a few times you may find yourself with far more pigment than you need. This pencil is all about putting in the minimum amount of effort without the loss of results. 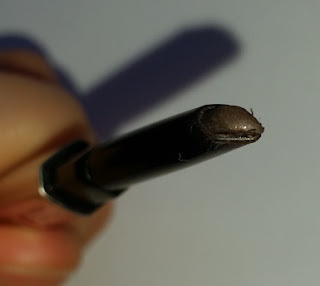 The thing I love most about the Goof Proof Brow Pencil is not specific to this product alone, but the entire range of Benefit eyebrow products. The range of shades available is fantastic. 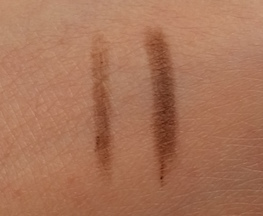 I know I can't be the only person in the world who struggles to find the perfect shade match with eyebrow products that companies tend to love to provide in generic light, medium and dark varieties, but with these I finally can. I finally have that match, and so can you. I have to say though that if you are unsure as to which shade will match you, taking a trip to a Benefit counter is a good idea to get a feel for the variety of shades. Overall, I am really enjoying the Goof Proof Brow Pencil. Whether you have been using eyebrow products for years or if you've never used them before, this pencil is a great item to try out. I love the simplicity and speed of this. If you don't have the time to spend a long time on your eyebrows but want a great finish, you can achieve that with this. You can purchase the Benefit Goof Proof Brow Pencil as well as the rest of the Brow Collection from Look Fantastic. What are your thoughts on the Benefit Goof Proof Brow Pencil? What is your favourite item from the brow range?